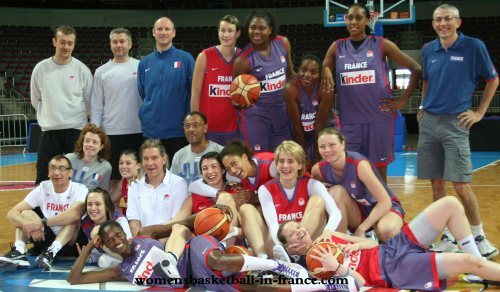 All the news links from stories on women playing basketball in France website for the season 2008-2009 have been archived to this page. You can move between sections by clicking on the links below or by scrolling down the page. Only 58 clubs are registered this season. As a result only one round of preliminary games will be required. 38 teams have qualified directly for the group stage, while 20 clubs will take part in an elimination round. The elimination round is scheduled for early October with the games decided on aggregate score over two legs. The ten winners will then join the other 38 teams for the group phase. The 48 teams will be divided into 12 groups of four teams. The competition will follow the same format as last season. 16 teams will qualify for the knockout stage. There is no final four in this competition. France were allocated four spots this year but only three clubs have accepted to participate: Challes-les-Eaux, Mondeville and Tarbes. Clermont-Ferrand had qualified for this competition but due to not meeting certain condition by the French Federation have had to decline. The 58 teams participating this season can be located at the bottom of 2007-2008 second leg of the final. You can follow the play by play action here. The draw for this competition took place on Thursday, 10th July 2008. 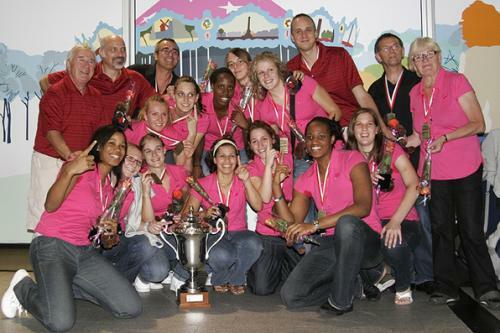 NF1 basketball will bring you news from the clubs and women playing basketball in the top amateur basketball league in France, also known as Nationale Féminine 1. Unlike last season (2007-2008) where NF1 information was classified under amateur news, this year we will give this division its own index. There are no changes to the 2007-2008 competition structure. 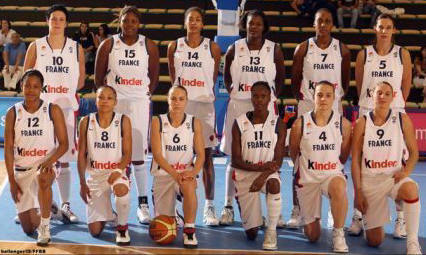 Unlike the LFB, NF1 is administered by the French Basketball Federation (FFBB). 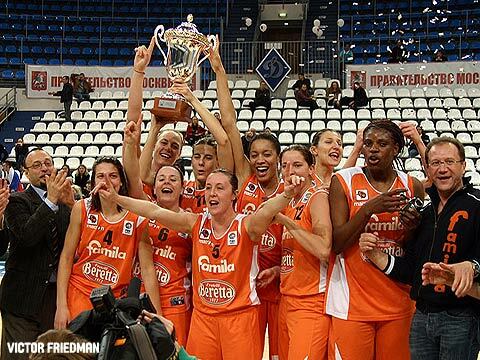 The only time clubs from the LFB and NF1 will play against each other in the season is during the French Cup (Coupe de France). You will be able to find all the news from the 2007-2008 season by either clicking on the Amateur 2007-2008 button on the left of the screen or by clicking the on this link. You can move to any section by clicking on the link below or by scrolling down the page. 14 December 2008: Pleyber-Christ & Colomiers in trouble at the bottom. 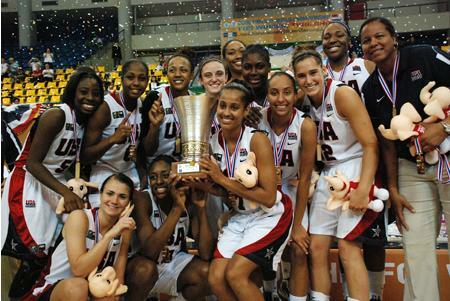 Go back to senior women playing basketball international index at top of the section. You will be able to find all the links to all the competitions that we will be following during the season including those that France has entered. 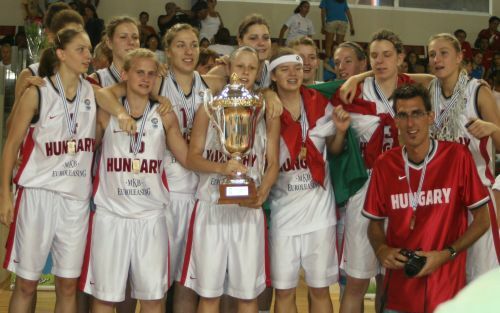 We will also be able to find the links to the FIBA Europe European Championships and FIBA World Championships. All the divisions below the LFB are amateur basketball leagues in France for women playing basketball. The NF designation stands for Nationale Féminine while for the men's league the designation used is NM. 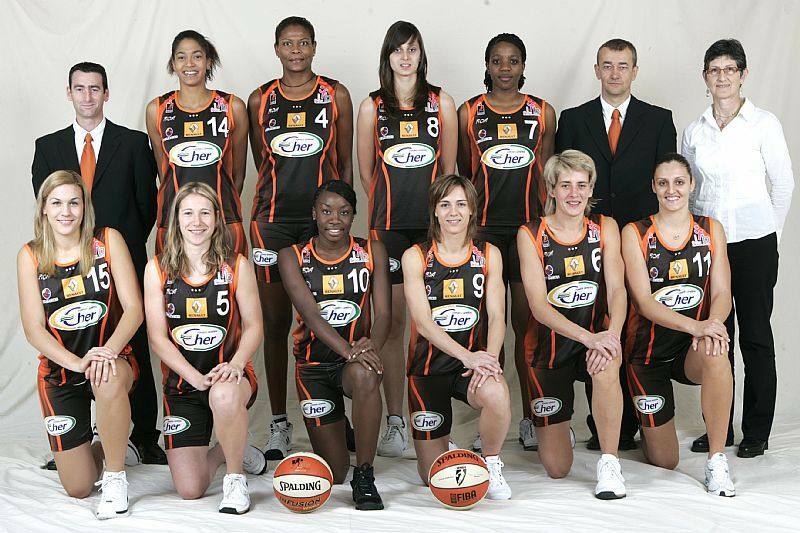 We have given Nationale Féminine 1 its own page as we will be following this league during the season. as they were called then. They went on to complete the amateur grand slam and are now playing in NF1. For this season we will give Nationale Féminine 2 (NF2) more coverage with brief reports from one of the four groups per week. If the clubs in the division provide us with more information then we will write some club reports. 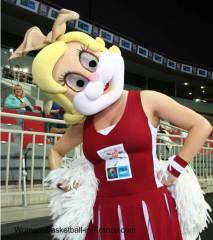 We will also follow the progress of the LFB Espoir teams playing in the division. 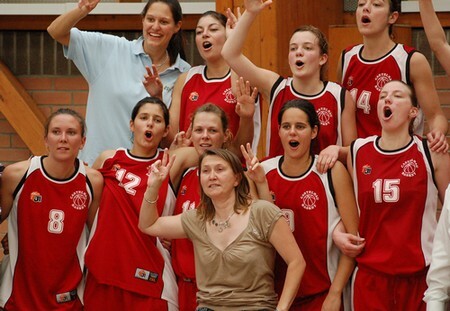 Nationale Féminine 3 (NF3), the fourth division, is split into eight groups. 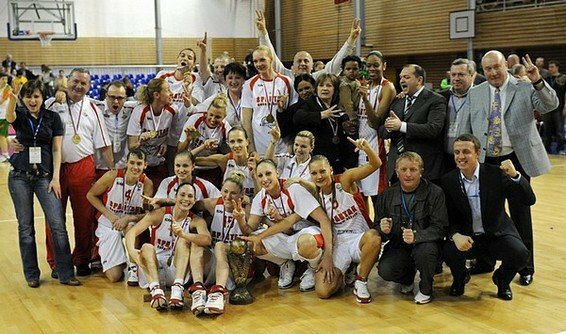 For this season our main interest will be the LFB Espoir teams, however like last season we will follow the play-off. The fifth division, known as Pré-nationale, is split into 24 regional divisions. We will follow some of the teams from around the region as they play in the French Amateur Cup. You will be able to find detailed information about the various league structures by reading our page on the competition guide for the 2007-2008 season. You will be able to find all the stories for the current season by following the links below or scrolling down the page.